For portal access concerns or issues, please contact the Student One Stop (S.O.S.) Department at support@trident.edu or call (800) 579-3197. 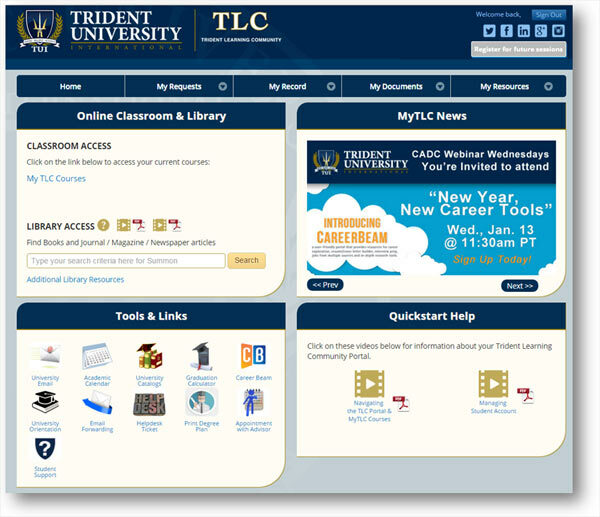 We are pleased to introduce the Trident Learning Community (TLC) Portal, a one-stop, single login portal for accessing everything our students and faculty need to collaborate, teach and learn, including classroom access, student records, profile information and much, much more! 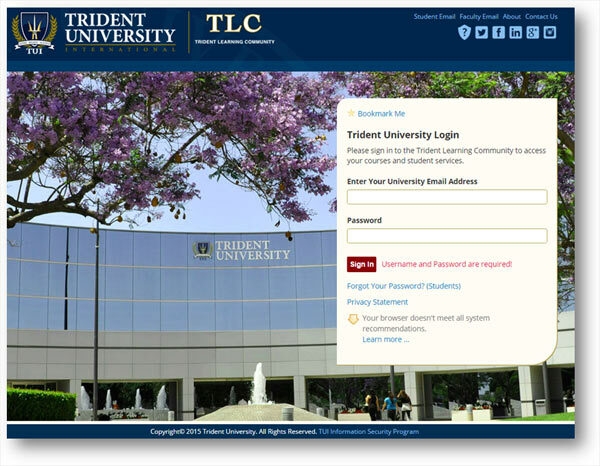 The TLC Portal offers a more robust system with single sign-on capability, so now you can have access to all your Trident educational needs in one place. And, of course, our team will be there to support you every step of the way. Starting immediately, you can use the TLC Portal for everything! In addition to telephone and e-mail support, we are offering brief, easy to follow videos, a list of frequently asked questions, and other tools and resources that will facilitate navigation and interaction in your new classroom and throughout the TLC virtual campus.